A dozen boys rescued from a cave in northern Thailand returned to school on Monday, local officials said. 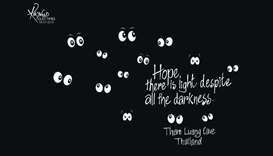 Twelve boys and their football coach who survived a highly dangerous and dramatic rescue from a flooded Thai cave spoke publicly of their incredible ordeal for the first time on Wednesday at a press conference that was beamed around the world. 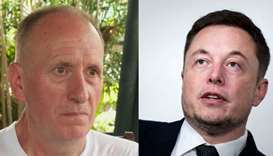 A British caver who helped rescue 12 boys from a Thai cave said Monday he may take legal action against Elon Musk after the entrepreneur called him a "pedo". Video footage emerged Wednesday of several of the Thai boys rescued from a flooded cave recuperating in hospital, as the stunning images of the youngsters being freed from their ordeal on stretchers was also released for the first time. Thais reacted with relief, gratitude and exhilaration after the last group of the "Wild Boars" soccer team was rescued from the Tham Luang cave. 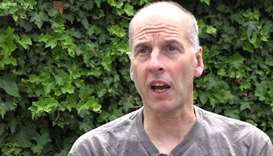 A former Thai navy diver died working to save 12 boys and their soccer coach trapped inside a flooded Cave, highlighting the risks for rescue teams trying to find a safe way to bring the group out after 13 days underground. Desperate parents led a prayer ceremony outside a flooded cave in northern Thailand where 12 children and their football coach have been trapped for days, as military rescue divers packing food rations resumed their search Tuesday. 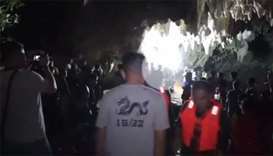 A dramatic underwater rescue mission to find a children's football team who have been trapped in a flooded cave for two days was underway in northern Thailand, officials said Monday. 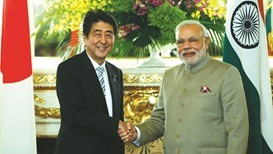 India will risk jeopardising billions of dollars of investment by Japanese companies if it does not implement an arbitration award favouring NTT Docomo in its spat with the Tata Group, a senior Japanese government official said.